Do you know which is the best cancer awareness month? It is October. It is an annual campaign to promote awareness about a disease. 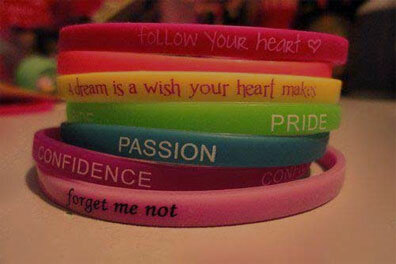 The demand for Breast cancer awareness bracelets is on hike during this month to campaign against the disease. At WristbandBuddy, we offer non-allergic 100% latex-free silicone bands that help to promote awareness of disease among the people. Using a breast cancer awareness bracelet is the most effective way to support and help raising funds for the cause. Increasing sales of the custom silicone wristbands will help in fundraising efforts and to generate more income for other research work and educating patients. Our experts feel happy to assist you and provide you the wristbands to promote your brand and to spread awareness for the cause.